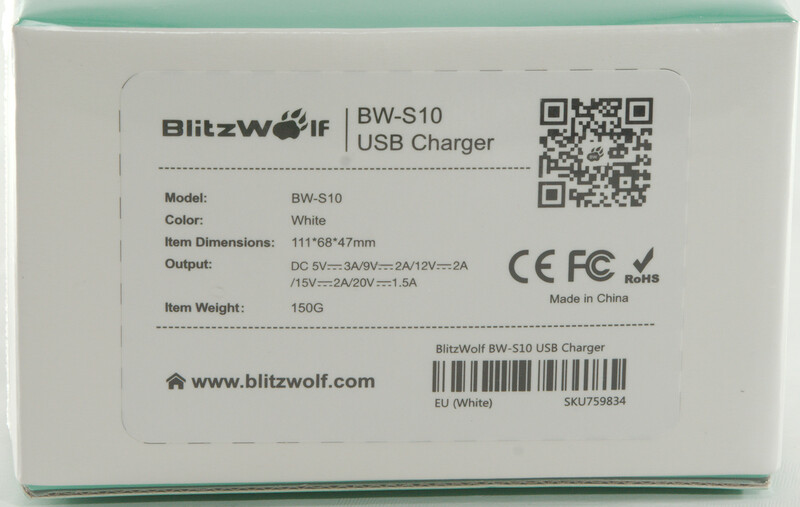 Blitzwolf uses a white cardboard box with some specifications on it. 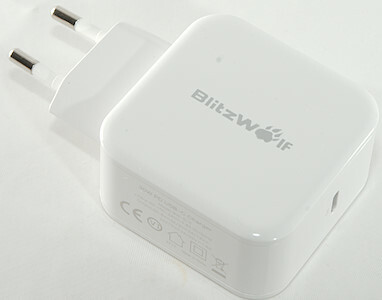 The box contained the charger, manual and a note. In addition to PD output also supports QC3 up to 12V and DCP, but only if there is a resistor to turn USB-C on. 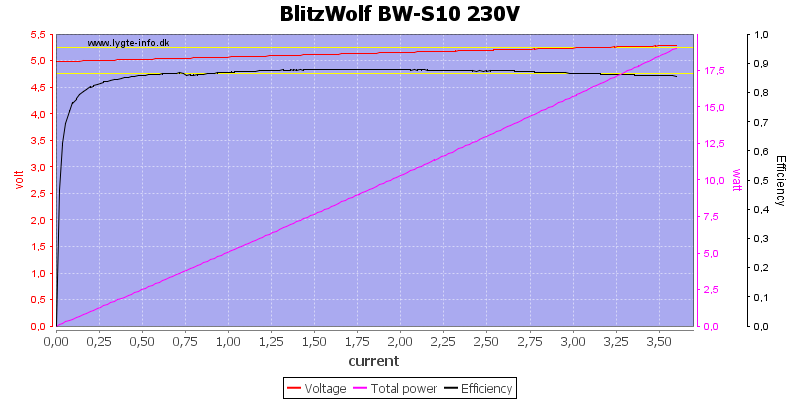 Output is rated for 3A at 5V and can deliver a bit above 3.5A, this is fine. 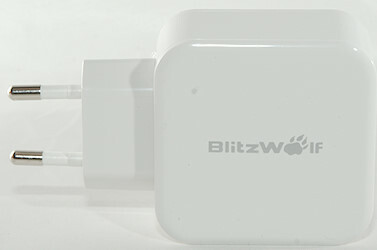 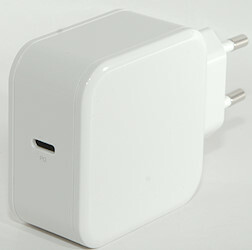 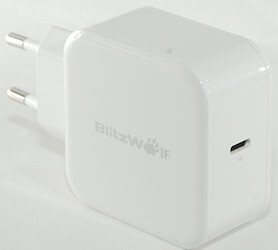 The output voltage increases with load, this charger has cable compensation. 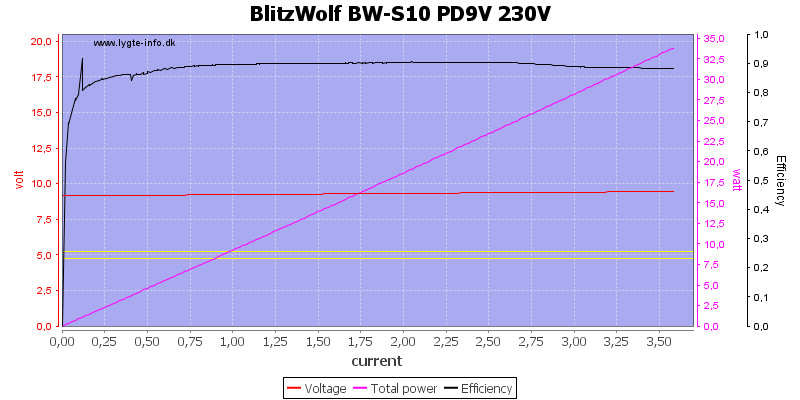 At 9V the output current is the same. 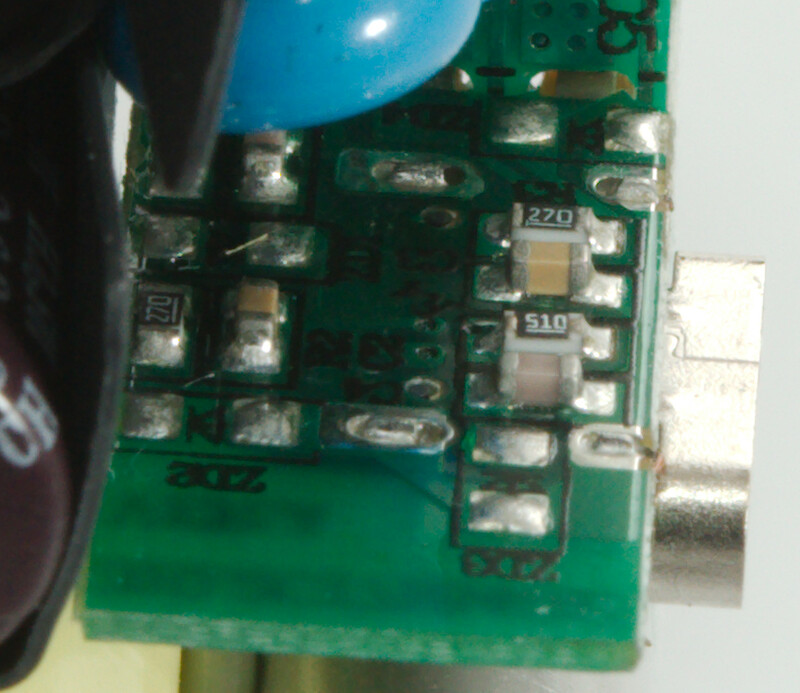 Overloading will drop the port to 5V after a short off period. And at 20V it is 2A. 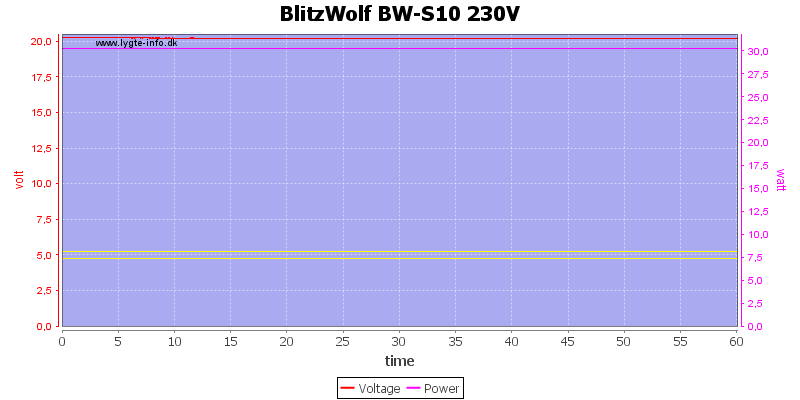 Running at 20V 1.5A for one hour is no problem. 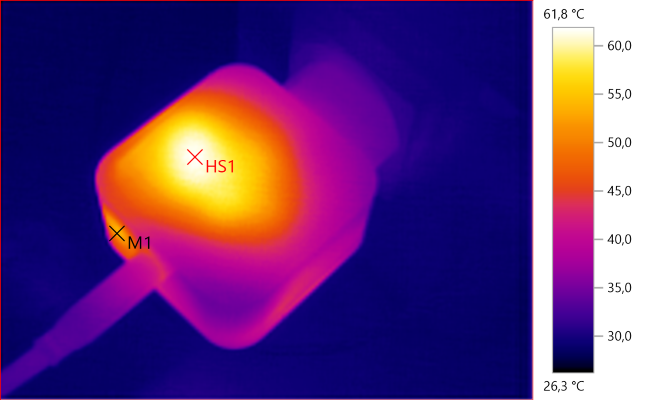 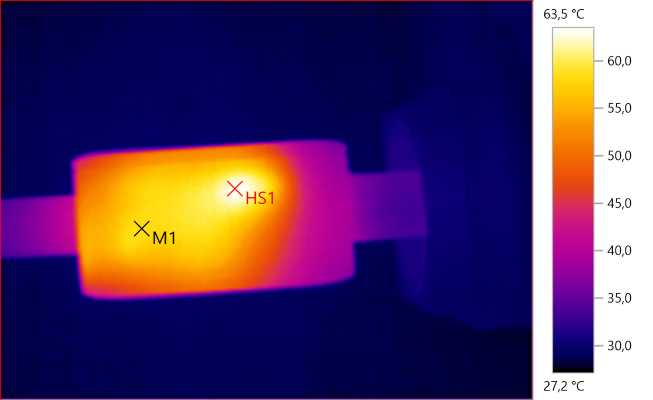 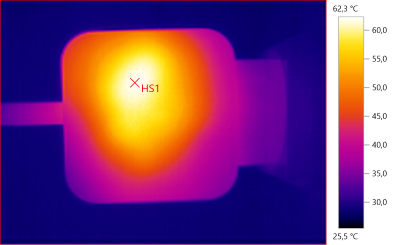 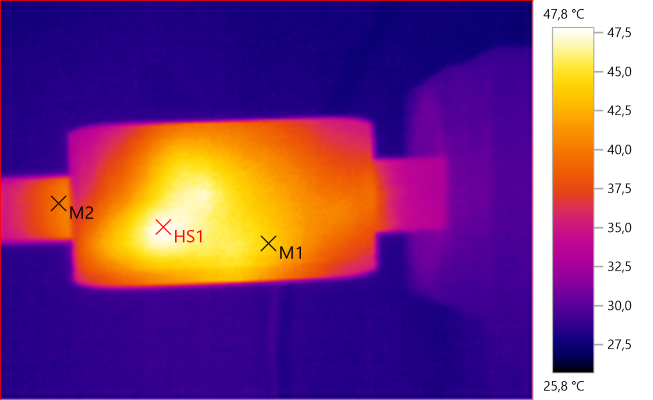 HS1 is the white stuff between the transformer and the enclosure, it is transferring heat from the transformer. 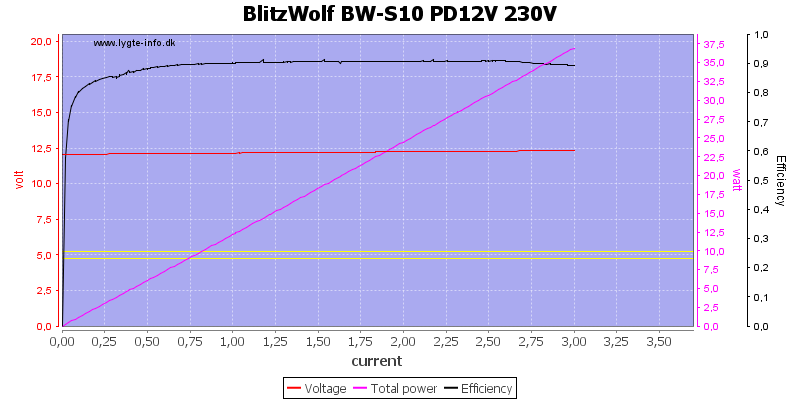 At PD 20V 1.3A the noise is 9mV rms and 163mVpp, all noise values are very low. 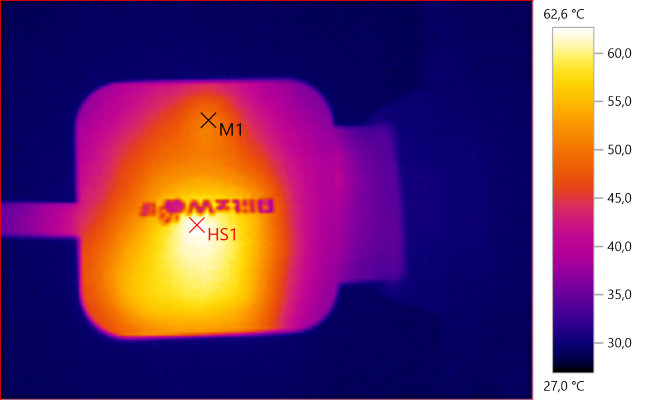 Some pressure with a vice and I could break the lid off. 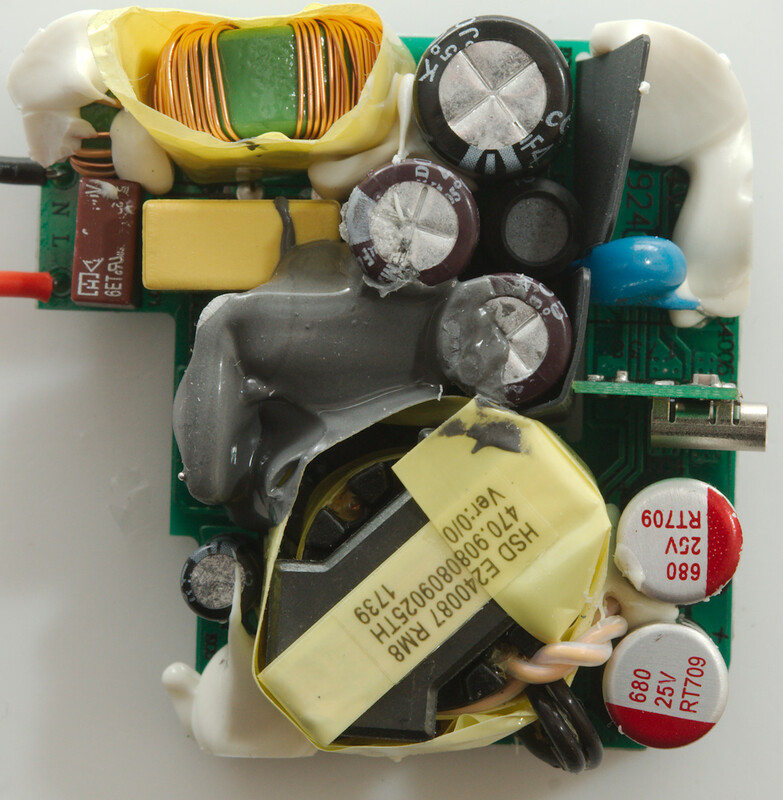 At the mains input is a fuse and two common mode coils. 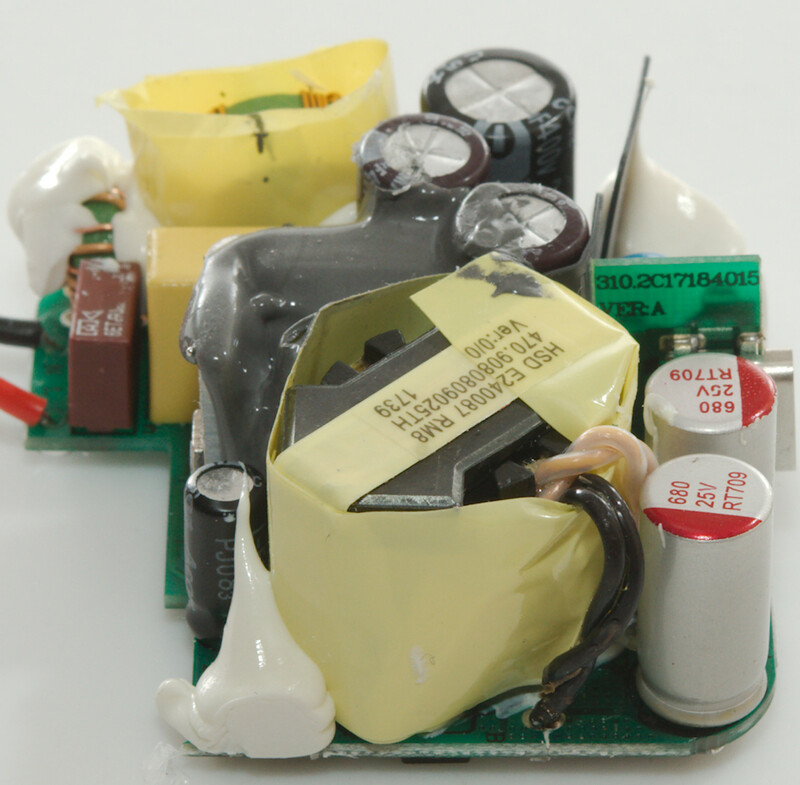 There is also an inductor between the smoothing capacitors. 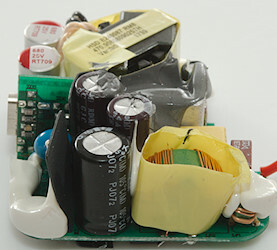 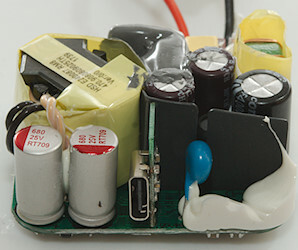 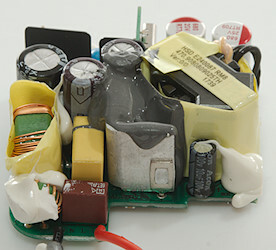 The safety capacitor is mounted through a slit in the isolation paper. 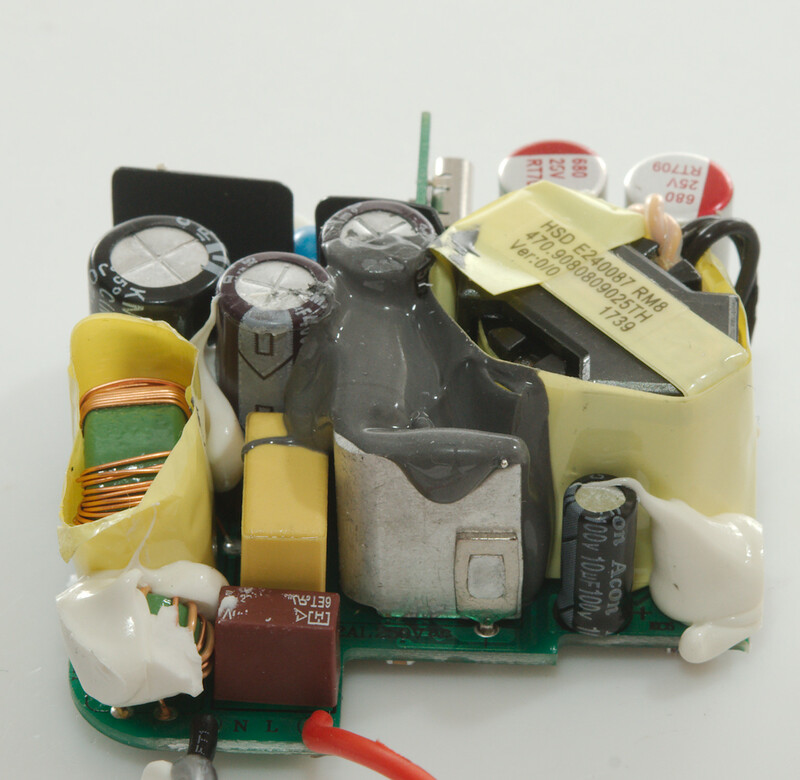 The mains switcher transistor in on a heatsink inside the gray stuff (The pins can be seen on the other side of the circuit board). 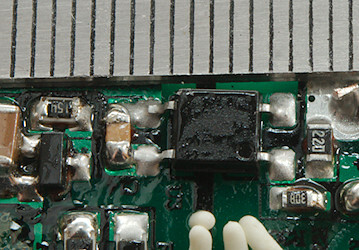 The usb-C connector is mounted on a small circuit board. 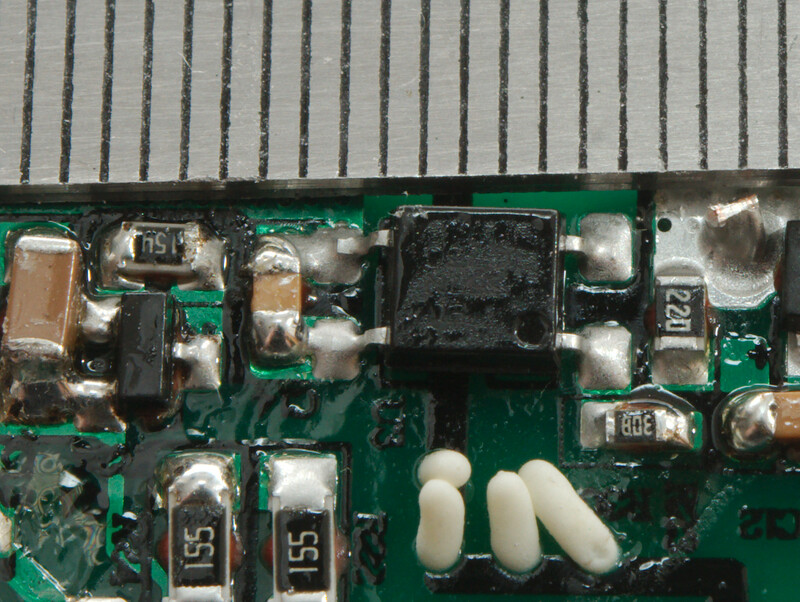 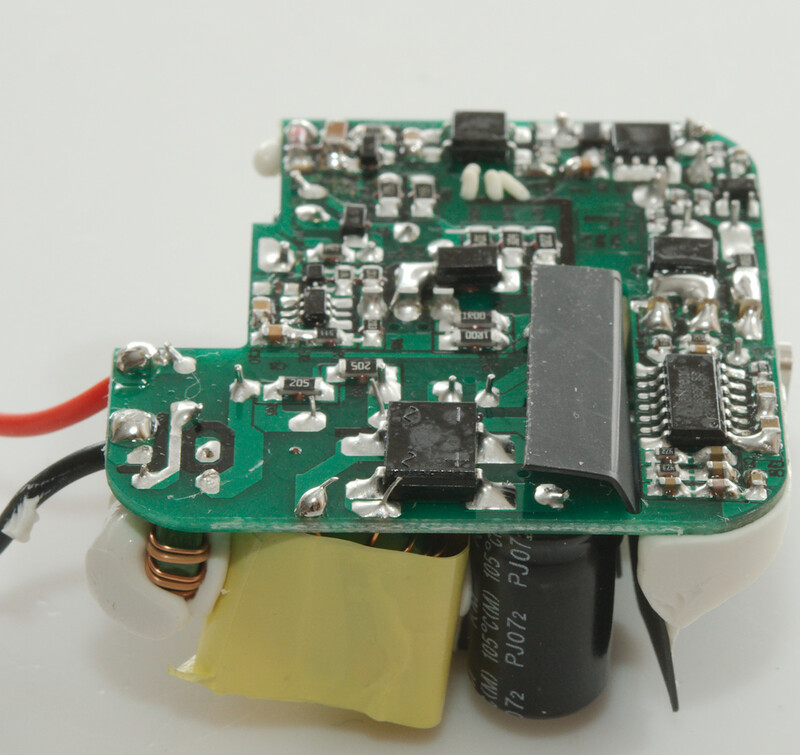 The small board with the usb connector, is has some capacitors and resistors on it. 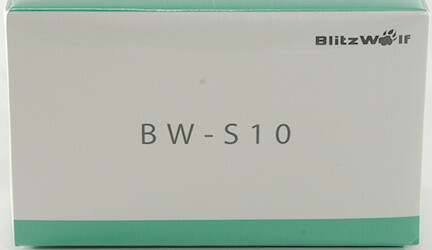 At the mains input is the bridge rectifier (BD1). 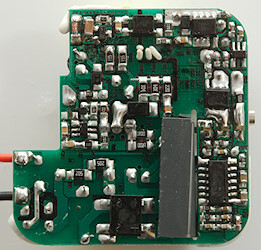 The mains switcher is a 6 pin IC (U2). There is a opto coupler for feedback (U3). 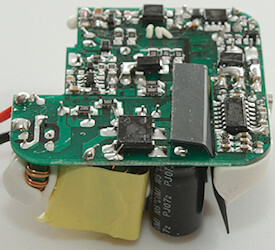 The rectification is done with a power mos (Q3) and a synchronous controller chip (U4). 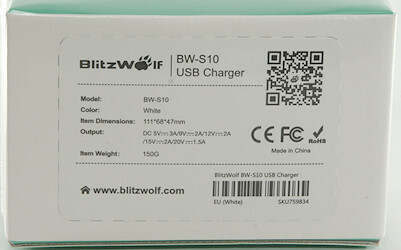 The USB PD and QC is handled by the larger chip (WT6632F) and it need a power mos to control the output (Q2). The 0.005ohm resistor (R005) is probably used to compensate for cable voltage drop and for current limiting. 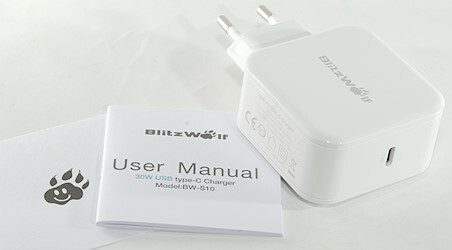 A nice USB-C PD charger with a good amount of power for phones and tablets, but markings on the charger do not match the specifications. 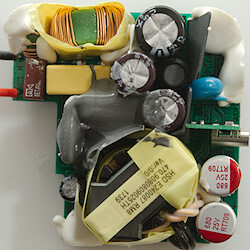 The noise is low.